How can you improve the handling of tablets. Still handling in drums? There is a more efficient way. 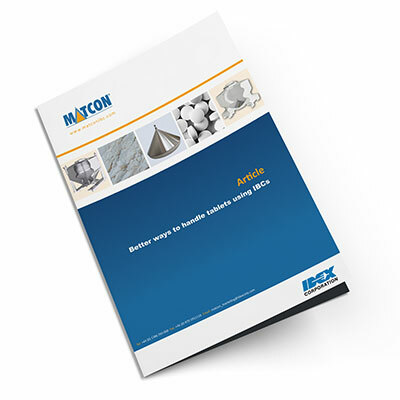 Handling tablets in larger batch sizes reduces the amount of manual handling needed to make and break connections and move containers. A single coating batch can be accommodated in one IBC, which helps to improve efficiencies.